U.S. high performance sports apparel label Under Armour celebrates U.S. National Basketball Association (NBA) superstar Stephen Curry’s outstanding season performance and second consecutive Kia NBA MVP Award with the Curry MVP Back 2 Back Pack, containing a re-release of the Curry One MVP and a new Curry Two MVP colourway. Considered to be one of NBA’s best in spite his youth, Curry’s impression on the sport of basketball is a lesson in the power of perseverance, through sheer will and hard work. In the 2014-2015 season, Curry impressed all by being the first player ever to hit 300 three-pointers in a season. He claimed the 2014-15 Kia NBA MVP Award for his performance and earned his first Larry O’Brien World Championship trophy. Following that, in the 2015-2016 season, he helped to lead the Golden State Warriors to the single-season record for wins, shattered his own three-point record of 400 three-pointers in a season, led the league in scoring and joined the prestigious 50-40-90 shooting club. For his outstanding achievements, Curry earned the 2015-16 Kia NBA Most Valuable Player Award. He is the 11th player (third point guard) in league history to earn the award in back-to-back seasons. 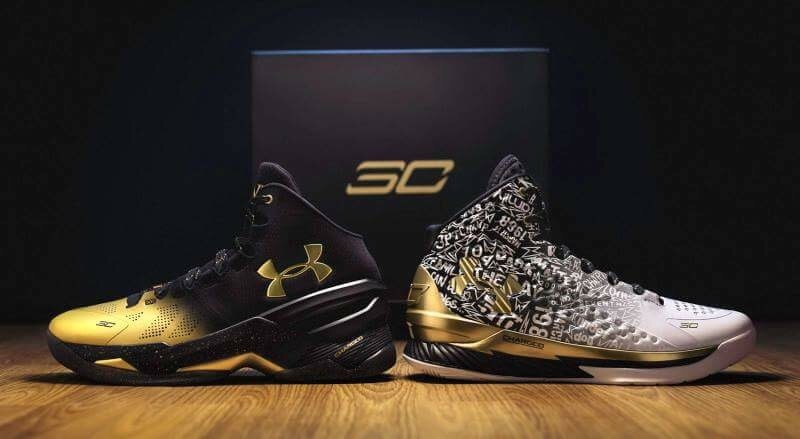 To commemorate Curry’s back-to-back MVP seasons, Under Armour releases the Curry MVP Back 2 Back Pack with its sleek gold colours and design elements, reinforced by Under Armour’s innovative technology. It echoes the relentless strength and tenacity demonstrated by Curry, whose ability to hit shots off the dribble, in traffic and from incredible distance took the world by storm. The Under Armour Curry MVP Back 2 Back Pack retails for PHP22,995 and is exclusive available at http://www.underarmour.com.ph and Titan retail stores.